PSC Analytics uses IoT (Internet of Things) to create powerful marketing insights for the retail industry. Drawing from customer behavior at brick and mortar stores, PSC Analytics allows retailers to generate additional revenue by linking consumer behavior to sales and advertising when it matters most – the point of interest. 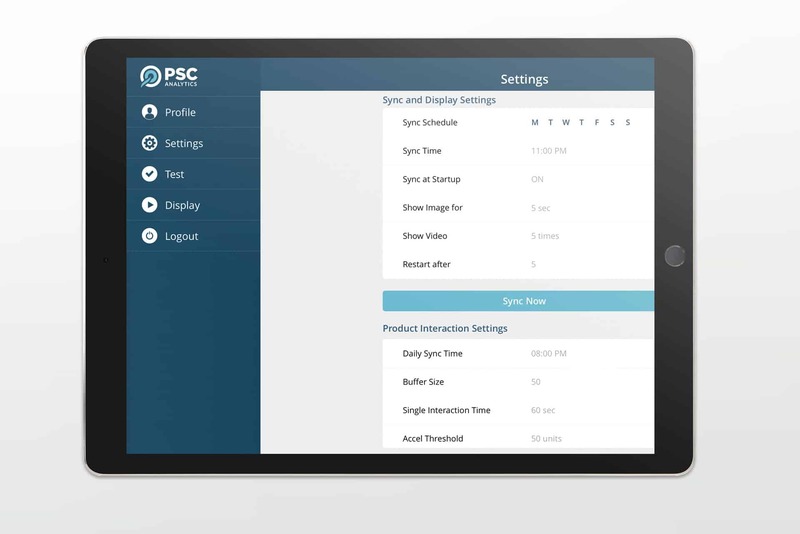 PSC Analytics asked Nextware to create the back-end software needed to integrate physically present customers and devices – a significant technical challenge. In just four months, Nextware created a seamless solution which brought together in-store devices, customer-facing applications, and server side analytics. Bridging the gap between different technology standards and platforms, Nextware developed a system which allowed all components to effectively and efficiently interact through a cloud storage and processing solution. The results were clear. In-store customers experienced a flawless experience – one which appeared subtle and natural despite the in-depth technical work which took place in the background. Through the Nextware-created platform, PSC Analytics also gathered relevant and timely data for its customers. True masters of their craft, Nextware Technologies has a unique gift for understanding the shared vision of their client’s desired end result. The ability to listen, envision, plan, and execute effectively is the very definition of success in business-to-business solutions. Nextware Technologies’ superb ability to communicate and strategize made working with them a seamless process.